Spring has sprung so I guess that means it's time to get your swimsuits out, right? There are so many women I know who hate swimsuit season. Even when I say the word, "swimsuit" I can see the hair on the back of their necks stand up. I always try to remind them that being in a swimsuit should be liberating! No matter what your body type is, you should feel free. Being free in my own skin is one of the best feelings ever. Now, I would be lying if I said that I woke up every morning feeling confident and free. I surely don't. But I try to stay active and live a balanced lifestyle which helps promote my confidence. I recently completed my 3rd round of Whole30. Two years ago a friend of mine introduced me to Whole30 and I have tried to incorporate it into my lifestyle since. Whole30 is not meant to be sustainable, but it is meant to bounce your body back into its natural state. In a nutshell it is 30 days with no sugar, no dairy, no legumes, and no grains. Sounds nuts, right!? When I first attempted this, two years ago, I thought to myself, "No cheese? I can't!" But the 30 days went by so fast that by the end I didn't have a desire for much diary. Fast forward 2 years and I've completed Whole30 for the third time. Honestly this time around it felt harder and I didn't have the same results as I did previously but I feel amazing. And THAT is what it is about. Confidence is all in how you feel and I feel free. No one can take that away from me because I earned it. For me there is nothing better than finding a great swimsuit that helps to display my confidence. This gem is from Aerie. I bought it back in January for a vacation and never wore it. The good news is that it is ON SALE currently! Here's what I love: I'm able to adjust the straps tight or loosen them when I need to. There is plenty of room in the places I need it and it's super comfy! Comfy, cute, and easy to wear. What else do you need?? When you look for new swimsuits be sure to look for something that will promote your confidence and help you feel free. Okay so it's been a while since I posted anything new. I wanted to be sure I had something that was worth your while. Plus I think it's always important to take time for myself and really reflect on what message I want to bring in each post and overall to The Simple Glamazon. The Simple Glamazon has been a place of refuge for me over the past five years and a place for my followers to find inspiration on fashion, lifestyle and travel. So I'm back! 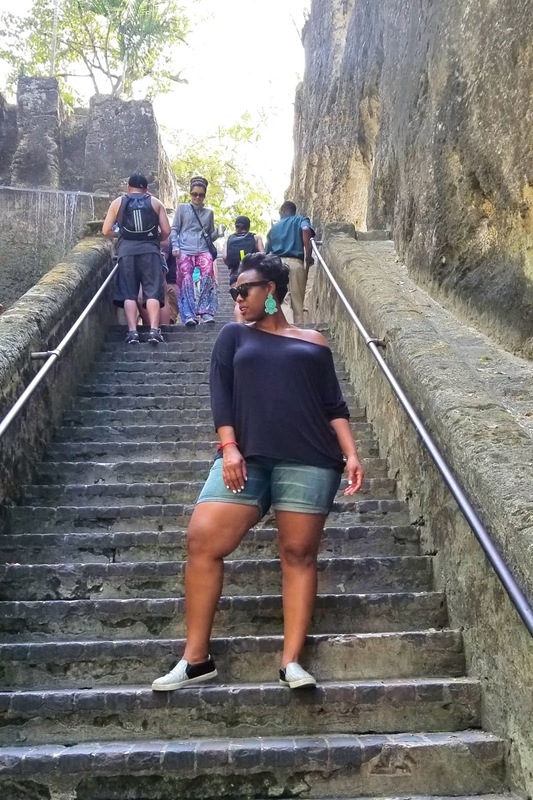 I recently took my annual girls trip with my friends to the Bahamas. Each year during the third week in January we go somewhere new and It's usually a place by a beach. All three of us love the ocean and love the feeling of relaxing on the beach with a delicious cocktail. This was the first time each of us had been to the Bahamas so we were really looking forward to the trip! This was our opportunity to explore the city, explore the sea life, be silly, and relax! Six days of quality girl time. Unfortunately when we got there the weather was not ideal for 6 days of beach play. It was relatively colder than expected and extremely windy. As a matter of fact it rained one day! And I am talking torrential downpour! The raindrops were the size of softballs. But, when you're with good company you can always make the time enjoyable. So we spent the rainy day indoors playing games, having amazing cocktails, and being silly. You'd be surprised how silly 35 year old women can be...probably not! Fortunately we were able to get in a day and a half of beach time and one full day at the pool. The beaches in the Bahamas are absolutely stunning. Growing up in Southern California I've always fancied myself a beach girl, however the beaches in the Bahamas are unlike any of the beaches I've ever seen. I've traveled to a few places in the Caribbean (here and here) however the beaches in the Bahamas are absolutely stunning. The water is so blue and the sand is so soft. On the two days we left the resort we took advantage of the time in town. 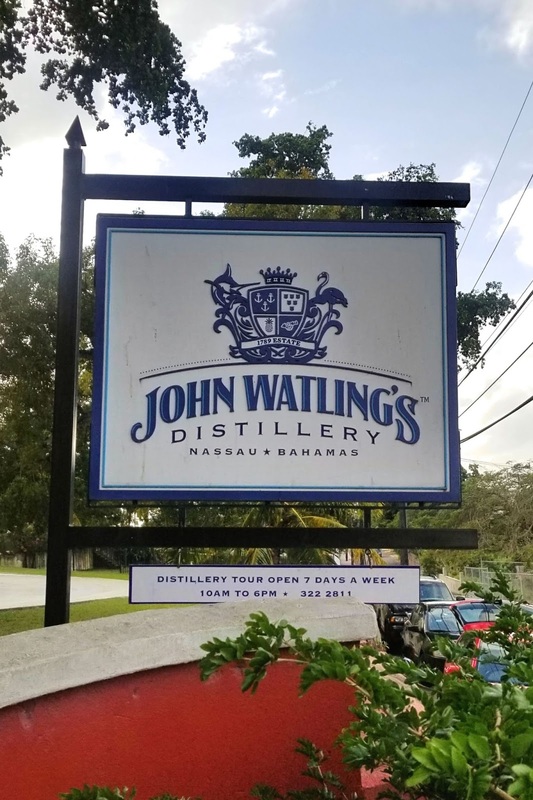 We explored the Queen's staircase, theRum Cake Factory, John Watling's Rum Distillery, and the local cuisine at the fish fry. 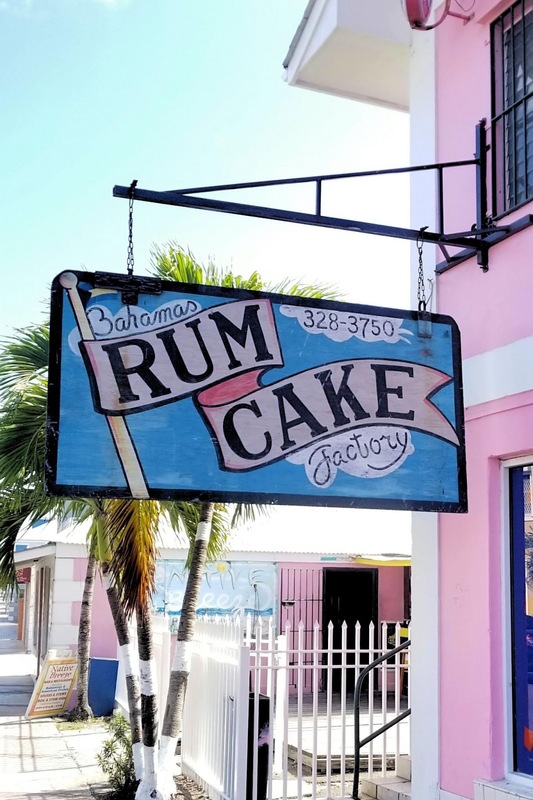 I recommend all of these sites if you are able to visit the Bahamas. Plus, The people are amazing! they're so friendly, incredibly welcoming, and are very proud to share their beautiful island with you. Will I ever go back to the Bahamas? Absolutely! There's so much history and rich culture so one trip will definitely not be enough. Every holiday season I find myself searching for what to wear to all of the holiday parties. Each December I find myself planning out my weeks and looking for pieces that are going to sparkle and dazzle at every party I attend. There will be casual lunches, after work cocktail hours, workday lunch parties, tree trimming ceremonies, and of course dinner with family and friends. The logical part of of my brain says I can re-wear certain pieces in my wardrobe. And the other part of my brain says "Go ahead and look for new pieces girl!" I always start my pursuit at my favorite online boutiques in search of pieces that are going to make me sparkle at each party. I also like to find inspiration from my peers and fellow bloggers each year. I'm always so inspired by what I see my peers creating. Dress: Forever21+//Pumps: Jessica Simpson//Lipstain: SEPHORA//Polish: O.P.I.